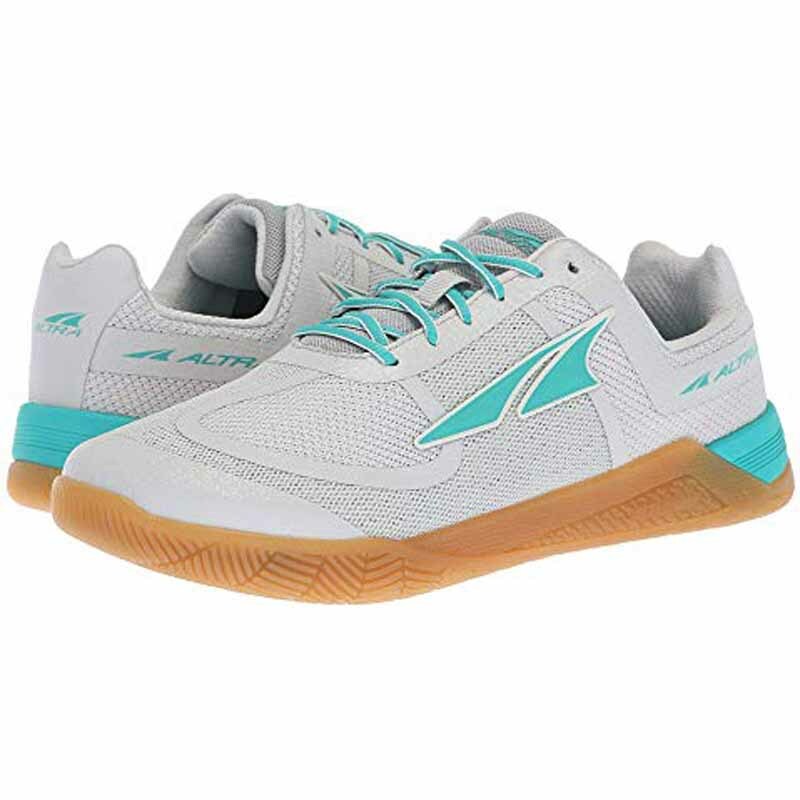 The updated Altra Hiit XT 1.5 crosstrainer sneakers pack the same punch, but with more cross-training specific features to get you through the toughest workouts. Built for high-intensity, weight-based gym workouts. Designed to improve: natural foot positioning, walking form, toe splay, comfort, and stability. FIT4HER technology maps the unique anatomy of the female foot for unstoppable comfort, in and out of the gym. An updated quick-drying air mesh upper with thin synthetic overlays. Comfortable textile lining offers a great in-shoe feel. Removable 6 mm POWERSOLE insole allows a firmer, lower-to-the-ground platform. FootShape toe box allows toes to splay naturally. Fully-cushioned Zero Drop platform helps to align the body, promoting a natural, low-impact landing. Dual-layer EVA midsole with highly-responsive A-Bound top layer returns energy with each stride. Wrap-around rubber outsole for enhanced traction and grip. Altra founders Golden Harper and Brian Beckstead met in high school in 1997. They've been running together ever since. Even as young kids, these two pursued the sport with passion and commitment, both for fun and in competition. It was this passion that prompted them to make footwear just what they thought it should be. Every Altra shoe is built on a ZeroDrop platform that positions the heel and forefoot an equal distance from the ground. This natural foundation aids in optimal alignment, cultivates better form, and encourages a low-impact landing.